Having cancelled my radio show last week – due to an unplanned visit to the E.R. at New York Methodist Hospital (I was dehydrated, a really foolish condition for a self-avowed foodie – or anybody else, for that matter) – and because of tomorrow evening’s Siyum HaShas, we rescheduled our regular show to this evening at 8:00 pm (Eastern Time) on BlogRalkRadio.com/kosherscene. Our guest will be Menachem Lubinsky, President and CEO of Lubicom, who has graced our pages and airwaves before (here and here). We will be talking about the state of kosher today. As always, you will find him extremely informative. Prior and during his time at Lubicom, Mr. Lubinsky worked and continues to work extensively with both profit and non-profits. He has an M.B.A. in Marketing and Advertising from the Bernard Baruch College at City University of New York. He has received many prestigious awards and been honored by major organizations for his work and advocacy. 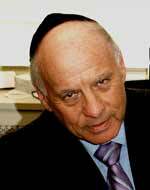 As a major player in the field, he is the universally acknowledged expert on the matter of kosher marketing, its history and its growth. Meanwhile, in case you missed it, you can listen to our archived broadcast with delightful guest Naomi Sugar. Naomi blogs at 365scoops.com, a blog dedicated to making and sharing her ice cream creations. 365scoops believes in good, old fashioned ice cream, free of preservatives (and ingredients that you cannot pronounce!). Please tune us in this evening at 8:00 pm (Eastern Time) on BlogRalkRadio.com/kosherscene when we will be talking to Menachem Lubinsky. Hoping to “see” you there!